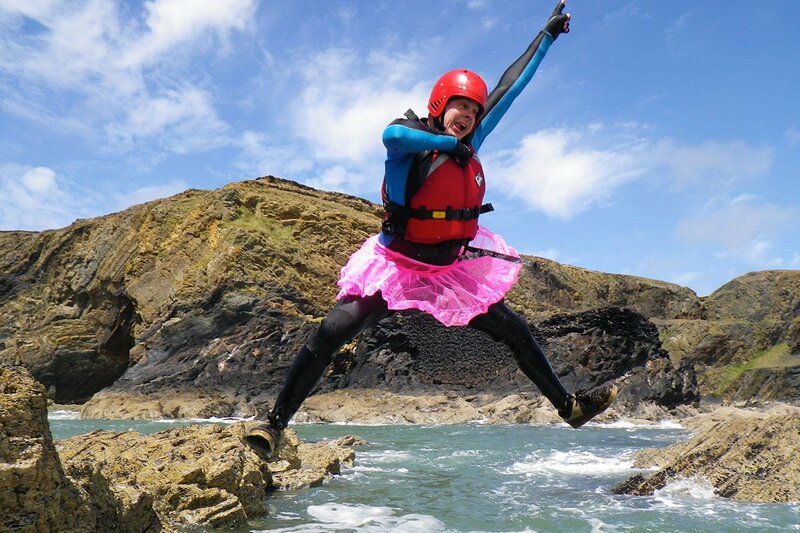 HEN…Coasteering, you choose the flavour! 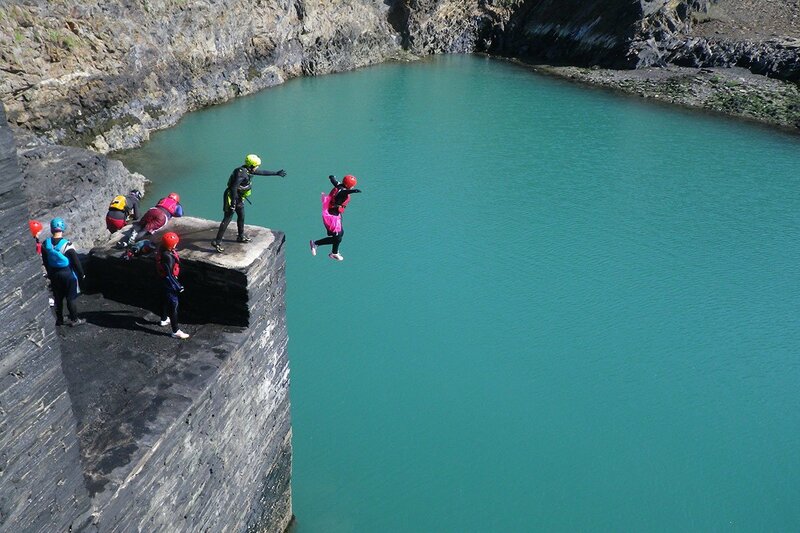 Rough & exciting, feel the power of the ocean in the water features, show the guys how it’s done stepping up with Cliff Jumping. 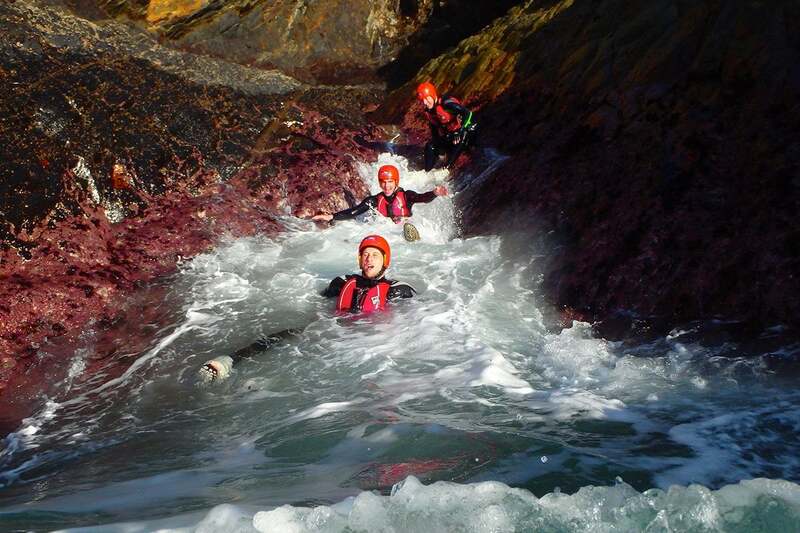 OR take a relaxing sea safari along the stunning Pembrokeshire Coast, exploring caves & coves with the option of cliff jumps along the way! 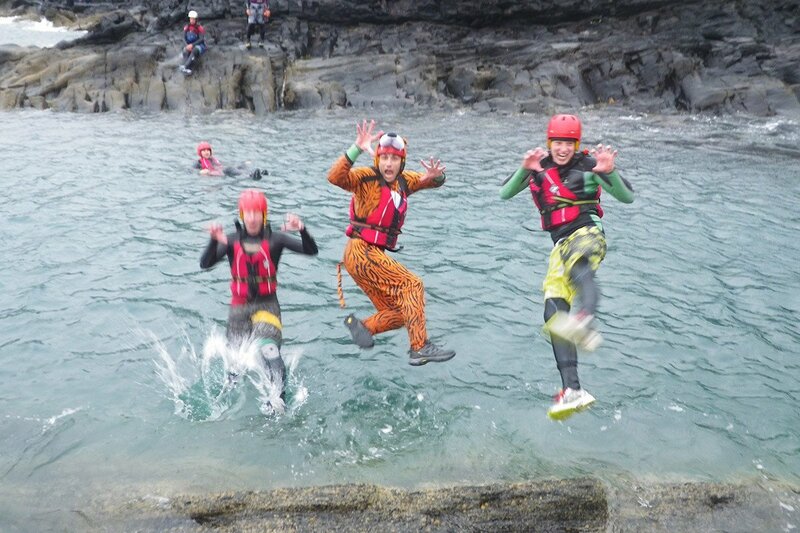 Can you beat Tony the Coasteering tiger? 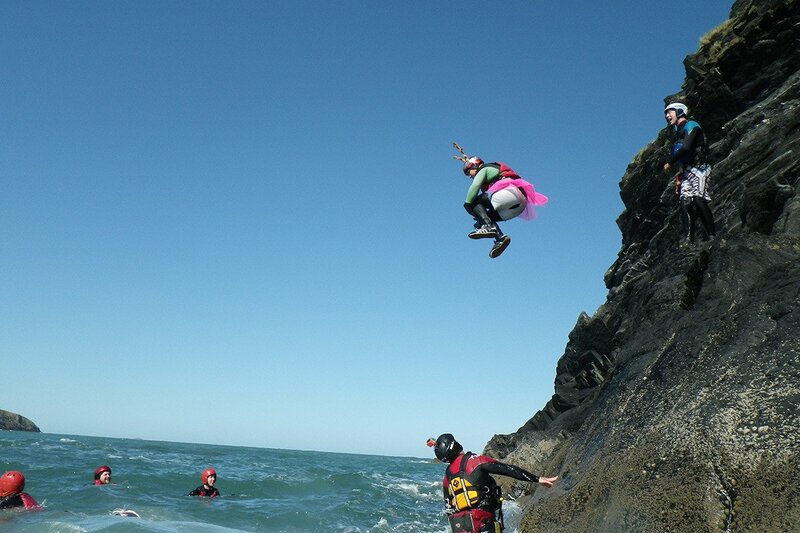 It's not all about height, low level stunt jumps give stag parties a chance to show off! 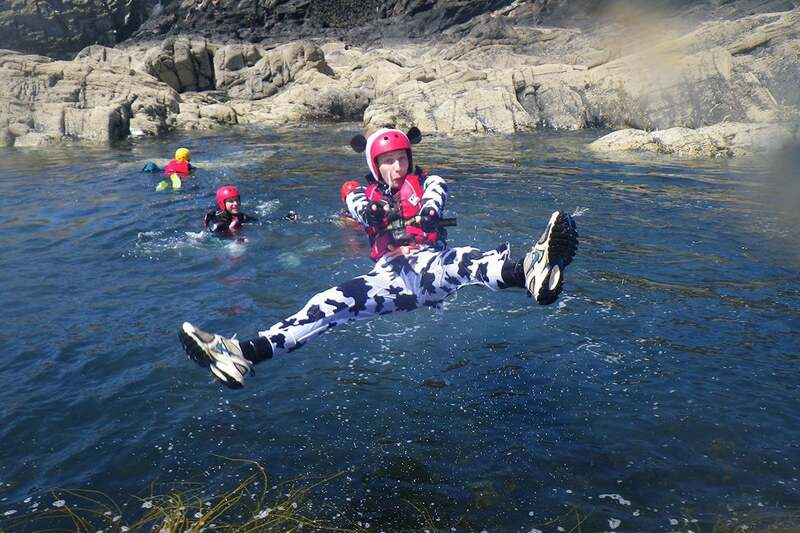 Dressing as a cow - optional but awesome! 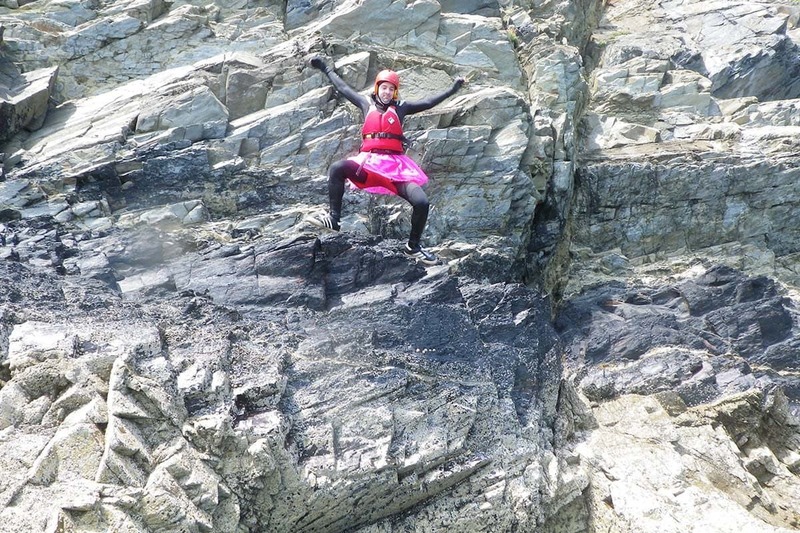 Before taking on the next cliff jump - it's a bigun! 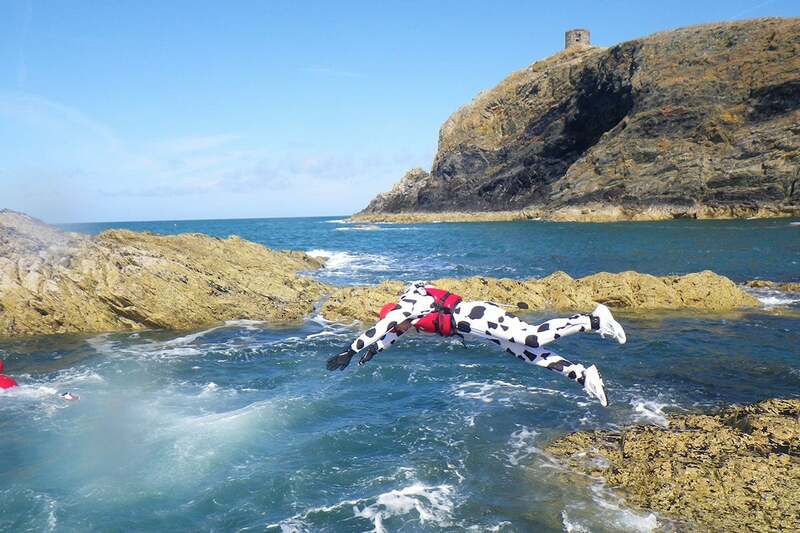 Even the best man goes Coasteering in fancy dress sometimes! 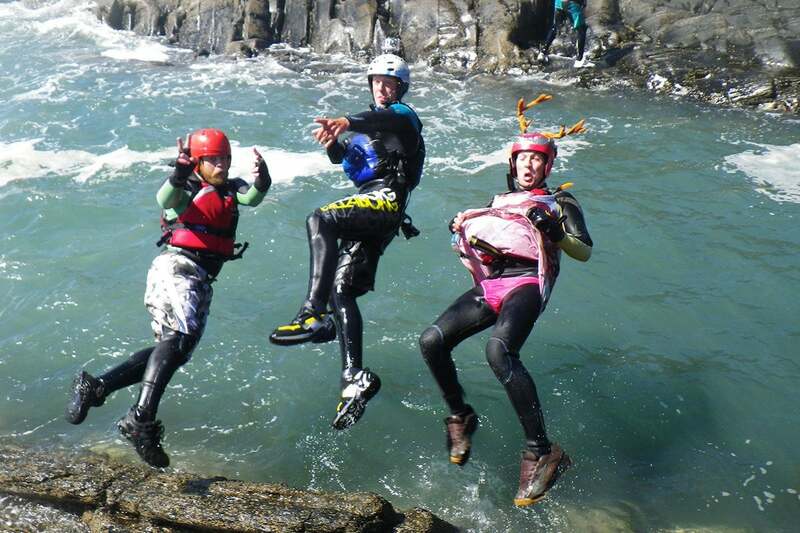 Why should the boys have all the fun?! 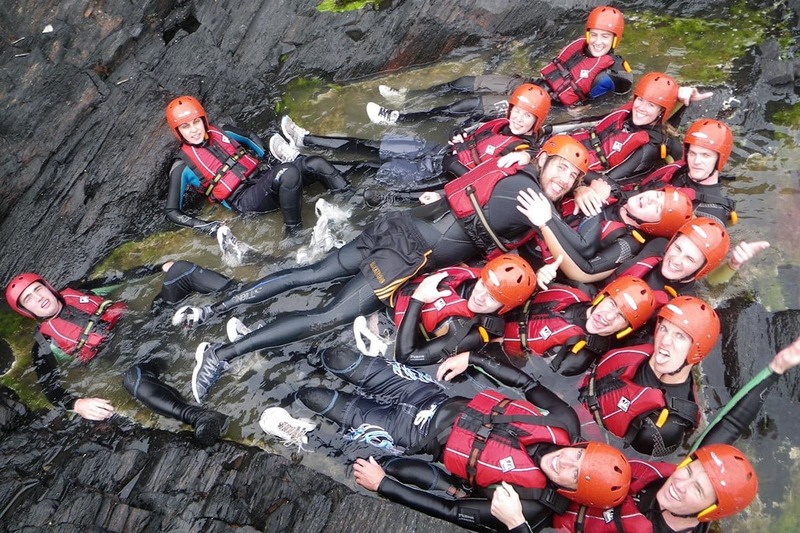 "Great day out for a group of adventurous friends"
Thoroughly enjoyed our day out with Celtic Quest. 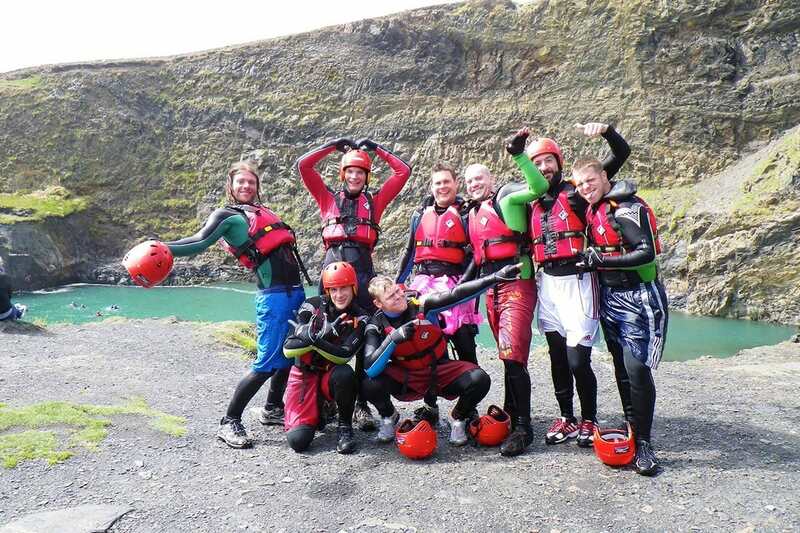 We're a group of 10 friends who like to do something adventurous on our weekends away together and this was perfect. Would highly recommend! 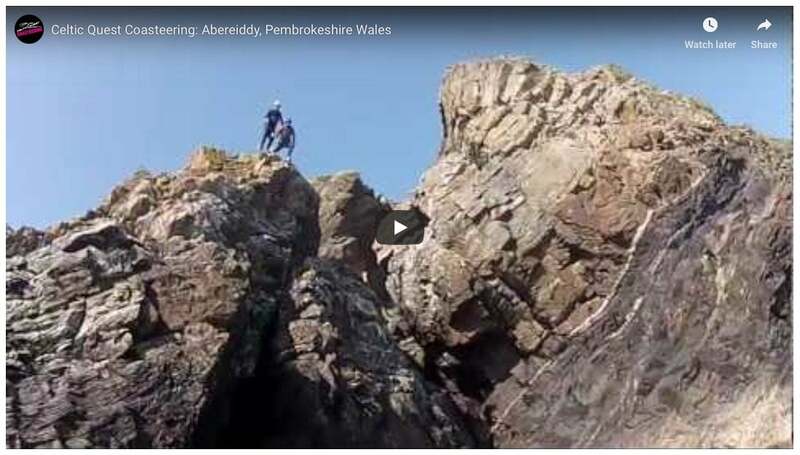 "Have to do this again (and again)"
Climbing, swimming, jumping, all at the same time. I couldn’t ask for more. 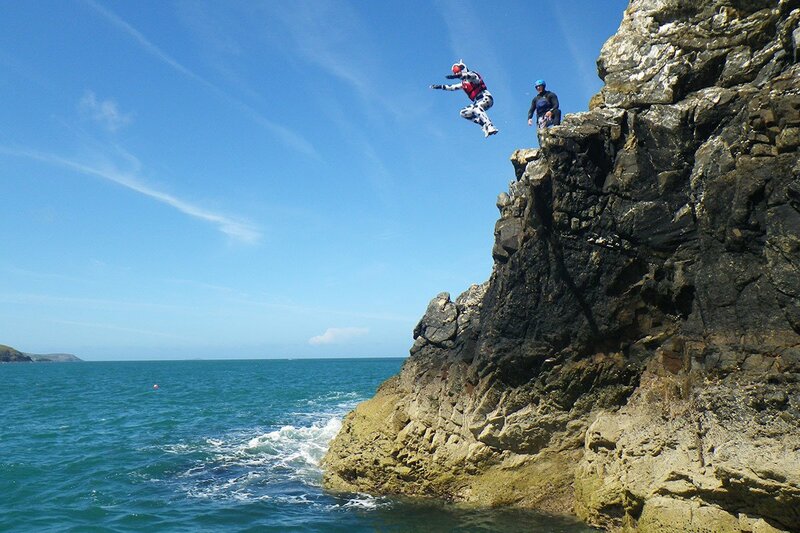 I recommend this to any person who likes outdoor activities. 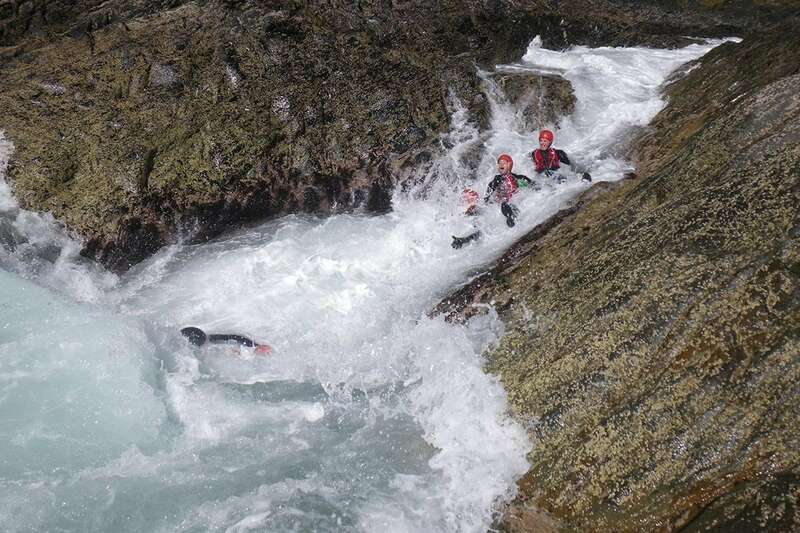 Big thumbs up to Mason and Jerry for making this even more amazing by keeping it not only safe and easy but also just as fun and crazy as it should be. 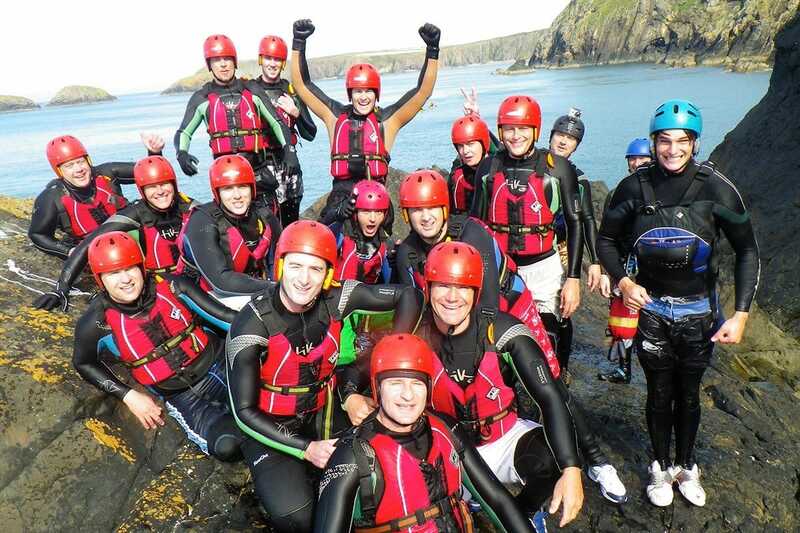 Myself and a group of lads (Mixed age group, abilities, body types and weight) went coasteering with Celtic Quest. Myself personally, being a larger lad was nervous that a.) I wouldnt be able to do it b.) I would be made to feel like crap and c.) I may or may not get stuck, get hurt or die none of these happened or was an Issue. 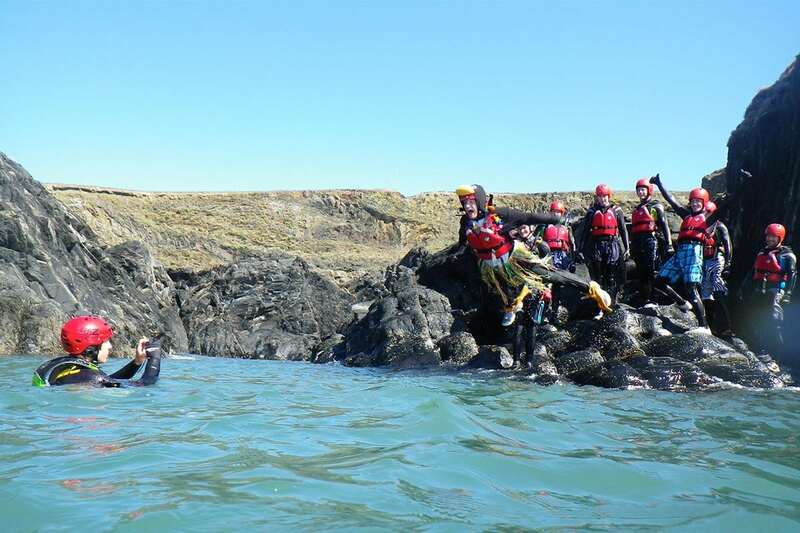 If you are going to St Davids or surrounding area's want to do something adventurous from the slightly to the more extreme then Celtic Quest is the way to go.